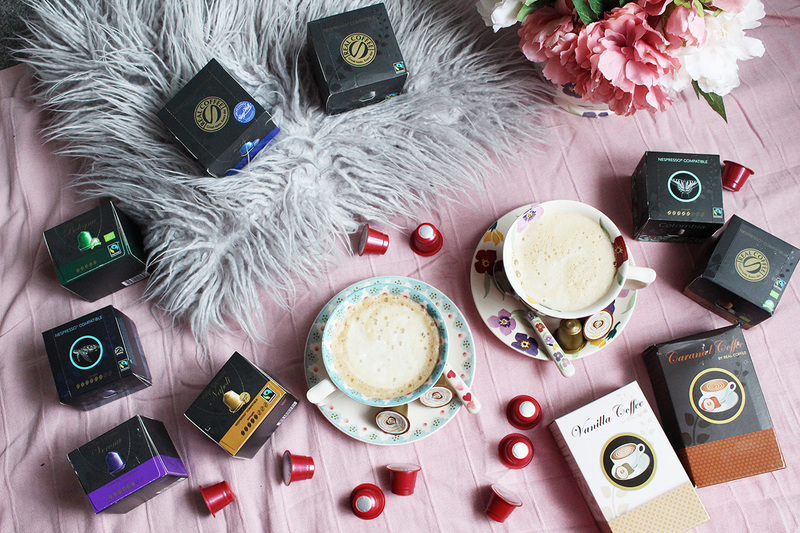 I cannot live without my Nespresso coffee machine and I always look for new compatible pods to use with it. 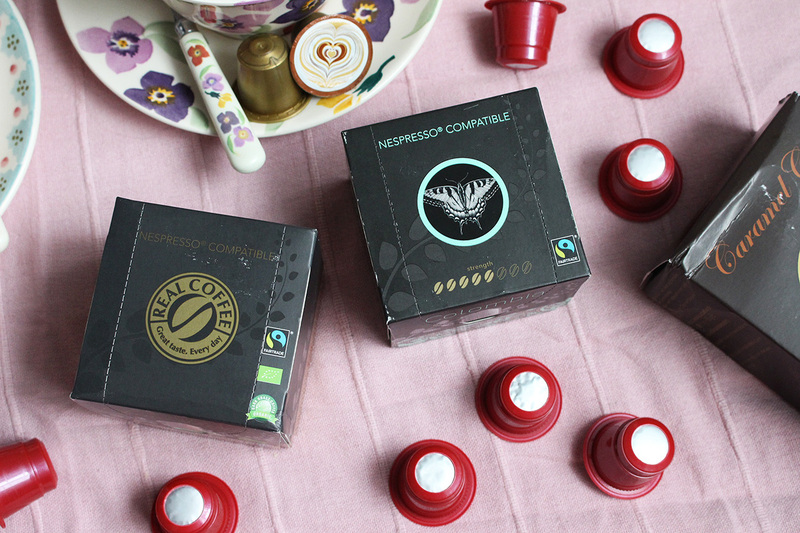 There's plenty to choose from on the market and my recent batch is from Real Coffee who offer a big variety of blends and flavours for Nespresso and Dolce Gusto machines. I was kindly sent the XL pack*(£ 73.00) which lets you pick & mix from all the possible coffee options on the website. You simply choose how many pods you want (they come in a pack of 10) from each variety till you reach the 350 pods in total. There's other bundle sizes available, like the Giga pack (550 pods), large, medium etc. The more you buy, the cheaper the cost per capsule, but you can also buy separate packs of 10, if you don't want to buy a big batch. They even have Nespresso compatible hot chocolate (unfortunately not vegan, so I can't try them). 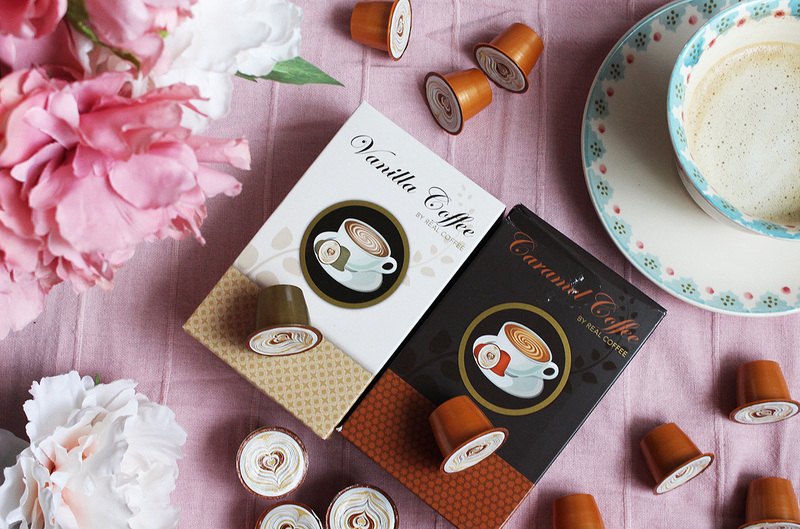 I was mostly excited by trying the flavoured coffees, which are Vanilla and Caramel. 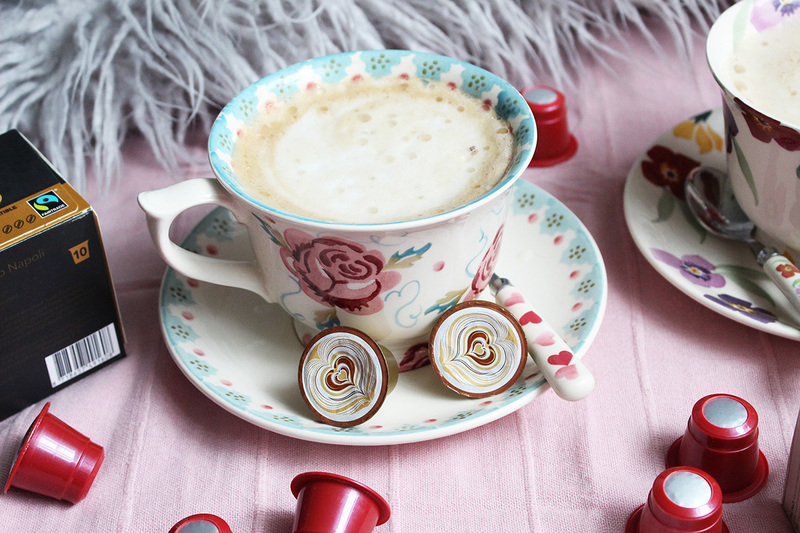 I stopped using sugar and syrups in my tea and coffee a few years ago, so I love when my coffee has a lovely flavour. 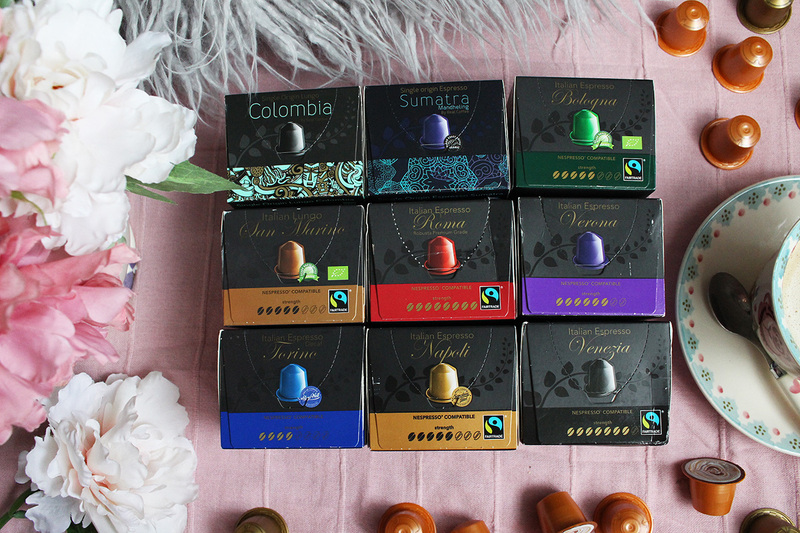 The vanilla one is my favourite out of all the pods and it is absolutely delicious, followed closely by the caramel one. 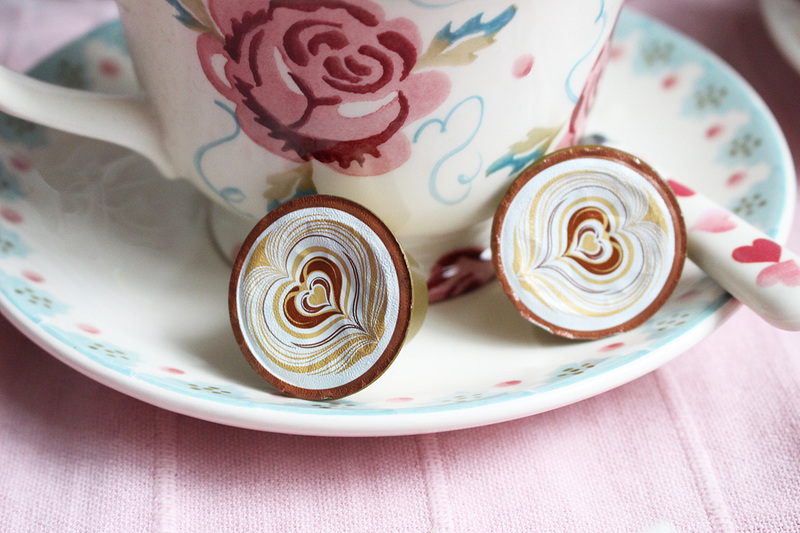 I adore the little heart design on the capsules as well, I wish I could recreate it on my latte. As I don't consume dairy, I make my lattes with Oatly Barista and honestly... if you've not tried it already, you have to! It's so creamy and so much better for you than dairy (and doesn't smell like cow). I also picked a big variety of other flavours, including Italian Espresso Torino decaf (my husband can't have caffeine) and some organic and fairtrade options. I am not going to pretend to be a coffee expert, because I am not, I just love coffee (with milk) and I am enjoying all of these. I also do the 'unthinkable' sometimes and run a Lungo capsule on an Espresso setting and vice versa... (don't judge me, haha). 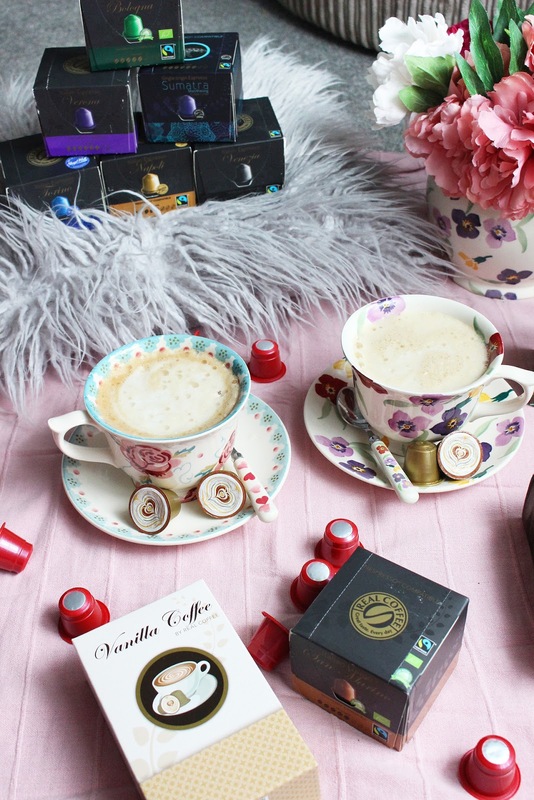 Overall, I am really impressed with the capsules, especially the vanilla flavour (yum!). You can order yours from www.realcoffee.com.